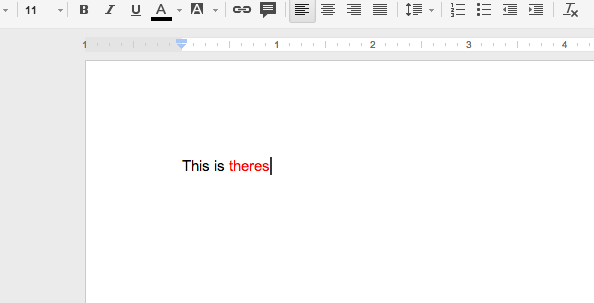 Some students and teachers have been noticing some problems with Google Docs spell check and grammar check feature. Personally, I think google’s spell check feature works very well and is far superior to Microsoft Word’s spell check feature. According to Lifehacker, Google’s spell check is contextual which means it’s able to pick up words based on context, not just similarity which isn’t the case for microsoft word. But, when it comes to grammer checking it’s not the same case. Microsoft Word has a great grammar check feature which is much more sufficient at finding mistakes, while Google Docs falls short. It just doesn’t seem to pick up on the errors that I have tried typing. Although I have noticed it did recognize some simple grammar errors like using your and you’re incorrectly, but it’s just not as consistent as I feel it should. Although these issues can be irritating while typing something on Google Docs, I still think it’s a great service Google provides, especially since it’s free. But for now we will just have to wait for google to update the grammar check. Thats strange, I’d like to take a look at that. Thanks for reading!